The first few ingredients listed on a package label represents what the food primarily consists of, subsequent ingredients are found in decreasingly smaller amounts. For example, potato chips’ first ingredient should be potatoes, then some kind of oil and then some salt. Start to look at labels and notice what the first three ingredients are (of course make sure there aren’t any chemicals later in the list either). 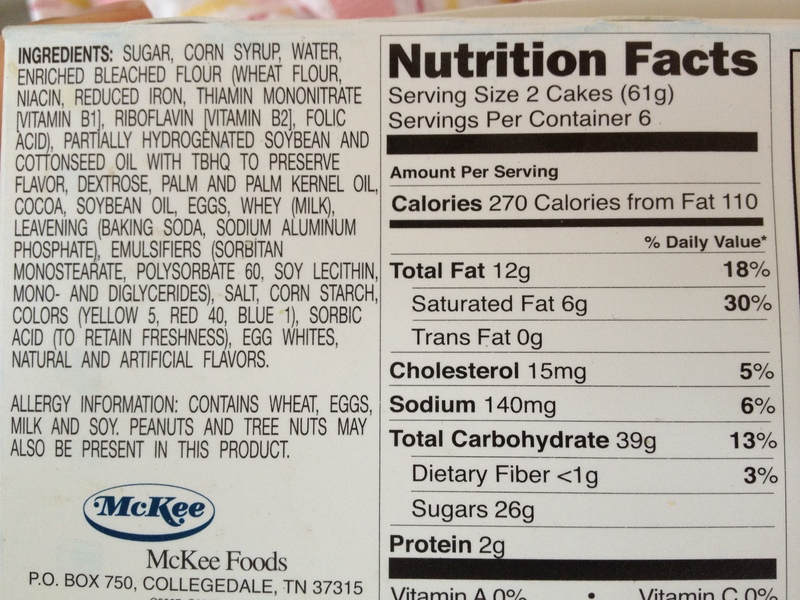 I challenge you to find foods in boxes bags and packages that sugar is not one of the first 3 ingredients. And I challenge you NOT TO BUY the ones that do! Bars, our generation’s cereal, are often loaded with sugar. Check the label. Many have more grams than a piece of cake! Even Nature’s Valley granola bars’ 2nd ingredient is sugar, and most other bars, like Nutrigrain, Quakers and Special K are made primarily of high fructose corn syrup. You know, the stuff that causes obesity and diabetes!?! You are consuming a hefty dose sugar when you eat these ostensibly healthy foods. Same goes for dining out. If you have anything tangy or glazed (think glazed fish or steak or chinese food, japanese steak house and most american food) that glaze is made with a syrup, sugar or high fructose corn syrup. Try an experiment. For three days look at the labels, know the ingredients of everything you eat. Sometimes frozen berries are just frozen berries; but if you are not paying attention, you’ll buy frozen berries and sugar, or frozen berries and corn syrup. So, don’t be fooled, Be smart about what your consuming. Eat. Real. Food. SO TRUE! Great point! Syrups, dextrose, and sucrose are all sugars!!! And what a lot of salt is in that sweet whatever-it-is up there, too! yes salt and various forms of sugar are added to everything it seems! I dont eat much of this stuff anymore, but Im gonna start checking those first 3 ingredients! So hows the training!? and Motivation?